After all these years, something still gets Lindsey Buckingham’s goat. 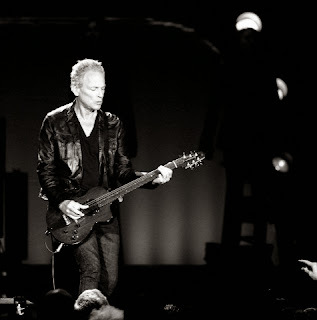 Fleetwood Mac’s guitarist and front man tore into “Second Hand News”, barking the words and spitting out the “bams” of the chorus’s vocalese like repeated slaps in the face. Rumours, the gazillion-selling “soft-rock” album that chronicles the band’s – and their generation’s – relationship traumas was given its 35th anniversary reissue in February. There was little soft about this near three-hour show, the first of three nights of controlled catharsis in London. Buckingham and Stevie Nicks, his former girlfriend and the fans’ erstwhile hippie siren, held hands as they emerged. Their harmonies were on point for “The Chain”, the sound lent a doomy toll and twang like a gothic Creedence Clearwater Revival. When they turned to each other, you couldn’t tell if their deliveries were taunting or imploring. 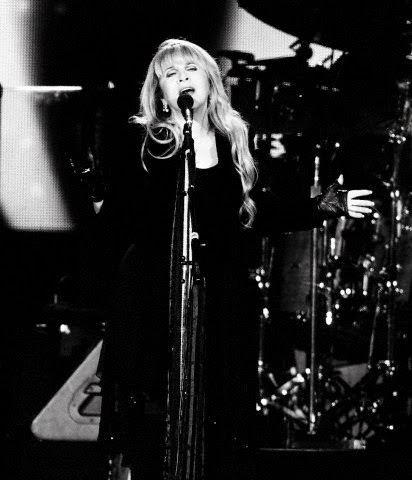 “You know what you lost,” sang Nicks on “Dreams”, the line hanging rueful and accusatory in the air, her voice deeper than in her prime and approaching a Patti Smith-like gravitas. In waistcoats and flat caps, the rhythm section of Mick Fleetwood and John McVie looked like upscale Wurzels, somewhat baffled by the continuing psychodrama unfolding before them, but grateful for its endlessly fascinating power. For all their colossal self-importance, Buckingham was right to insist there were “still things to discover” about Fleetwood Mac. Not least how time does or doesn’t heal and, as Nicks would sing on the sore, regretful “Landslide”, “Can I handle the seasons of my life?” The woozy rites of “Rhiannon” seemed more curse than enchantment now. Four songs from Tusk, their “difficult” follow-up to Rumours, were prefaced by a self-justifying but apt lecture from Buckingham about the incompatibility of art and commerce. They were played with a kick-against-the-pricks intensity and when they were done, Nicks gave Buckingham a brief, battle-weary hug. The mooted guest spot for Christine McVie didn’t materialise. Perhaps that’s for another night. This really was Buckingham’s gig. He doesn’t so much solo as argue his case with his guitar. And it’s a knotty, consuming one at that. Alone and acoustic, “Big Love” was haunted, almost hysterical, as spooked as a wild horse. This was the most extraordinary, and impassioned, part of an evening that was sometimes as arduous as it was enjoyable, if mostly riveting nonetheless. Many people took a comfort break during “Without You”, built up by Nicks as a “lost” classic but rather soppy in the event. The finale, “Go Your Own Way”, felt like the first unfettered singalong. Yet even this was driven by a dark rhythmic energy that pushed the melody uneasily ahead. The honky-tonk gallop of “Don’t Stop” in the encore was preceded by a preposterous mugging of a drum solo from Fleetwood. When, at the last, someone made a request, he was chastised for “vibe corruption” by Nicks and Buckingham, who wanted to finish on the gentle “Say Goodbye”. In this soap opera, the principals write the script.